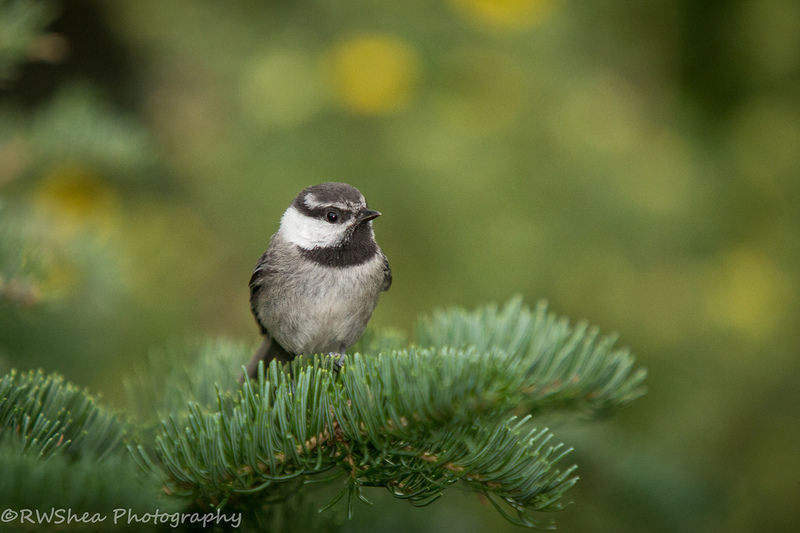 Shows » Why Do Chickadees Come and Go? 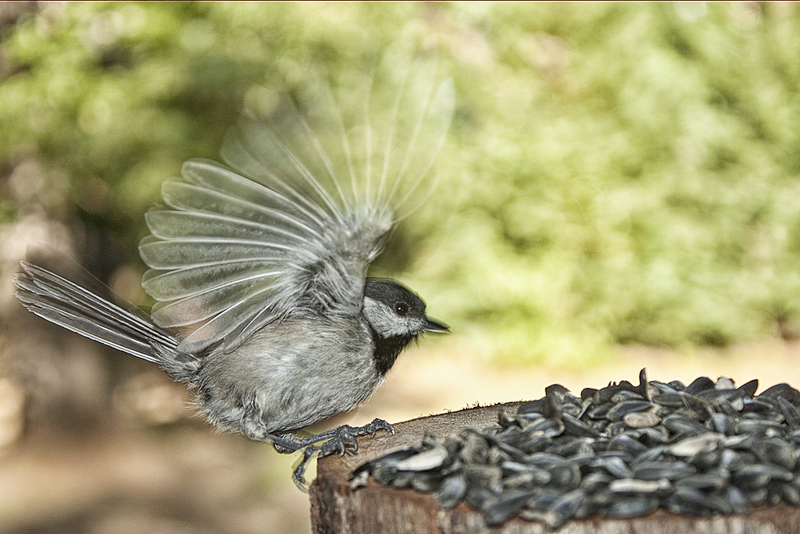 A chickadee comes in to the feeder, quickly grabs a seed, and flies away. It may return immediately, but it's more likely to wait its turn. When a whole flock of chickadees moves into the yard, it looks as if they form a living conveyer belt. 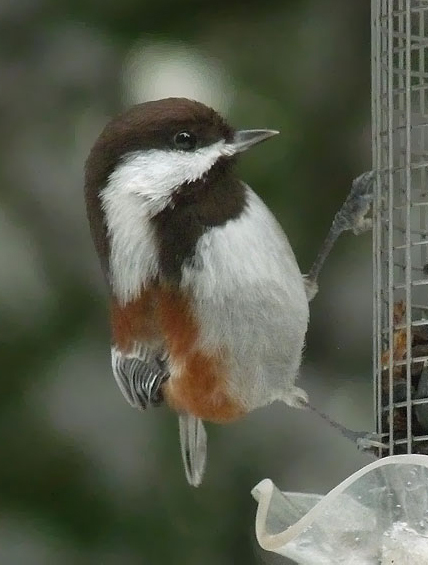 One chickadee after another flies to the feeder and leaves with a seed. The birds take turns rather than squabbling over the seeds. 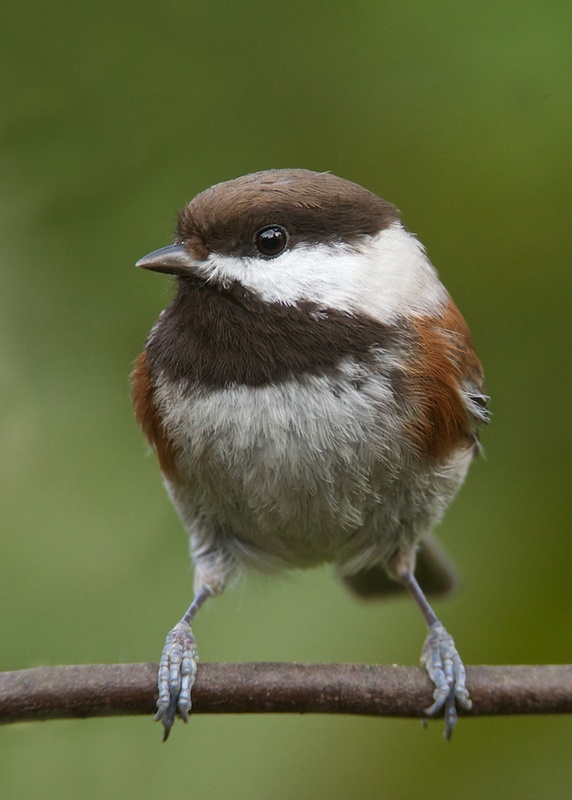 Watch for the Black-capped Chickadee in the North and East, the Mountain Chickadee in the Rockies, the Carolina Chickadee in the southeastern quarter of the US, and this Chestnut-backed Chickadee in the West and Northwest. 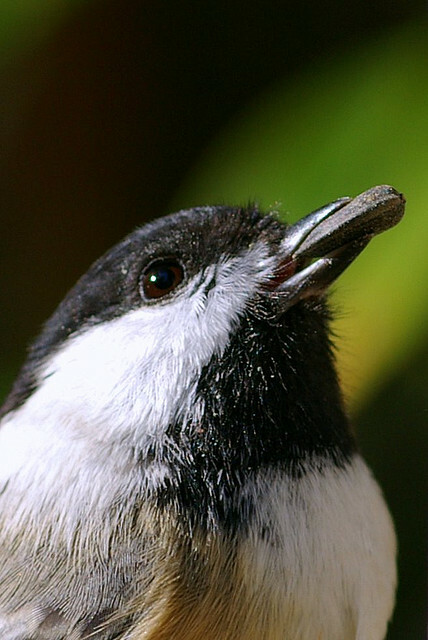 Call of the Black-capped Chickadee provided by The Macaulay Library at the Cornell Lab of Ornithology, Ithaca, New York. Recorded by R.S. Little and S.R. Pantle. Learn more about feeding backyard birds from Cornell.